Adult spotted gar are perhaps the easiest to identify due to the presence of dark spots on the head, body and fins. They are also the smallest of the gar species when fully grown, reaching just under four feet in length and about 15 pounds. Without close examination, juvenile alligator gar can be confused with spotted gar. Shortnose gar are similar to spotted gar in size and weight, but lack dark spots on the top of the head and paired fins. There is only one river basin in the state where shortnose gar can be found, and that’s the Red River below Lake Texoma along the Oklahoma and Arkansas borders. Longnose gar differ from other gars by having a much longer, narrower snout, which is why they are sometimes called needlenose gar. Longnose gar are found throughout Texas. 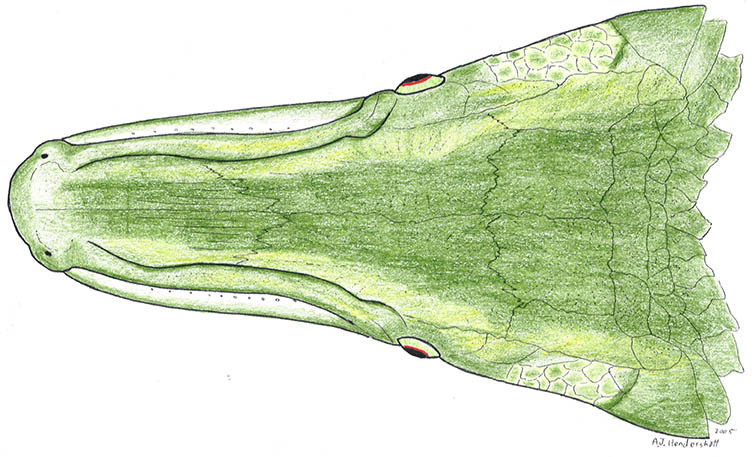 Adult longnose can be large, reaching 6 feet in length and weighing up to 80 pounds. Because of its large size, people are sometimes fooled into thinking a common longnose gar is a gator gar. However, for fish of the same length, alligator gar are much wider and have a distinct short, wide snout (alligator-like when viewed from above). Also, alligator gar can be huge, reaching lengths of up to 10 feet and weighing over 300 pounds. It is the second-largest freshwater fish in North America, second only to the white sturgeon. The Texas state record for rod and reel is 279 pounds, and the current world record is 327 pounds!